The Embrey II is an exceptionally spacious 3/4 bedroom Carriage home with a first floor owners suite. Located in the sophisticated yet traditional community in Lower Gwynedd. 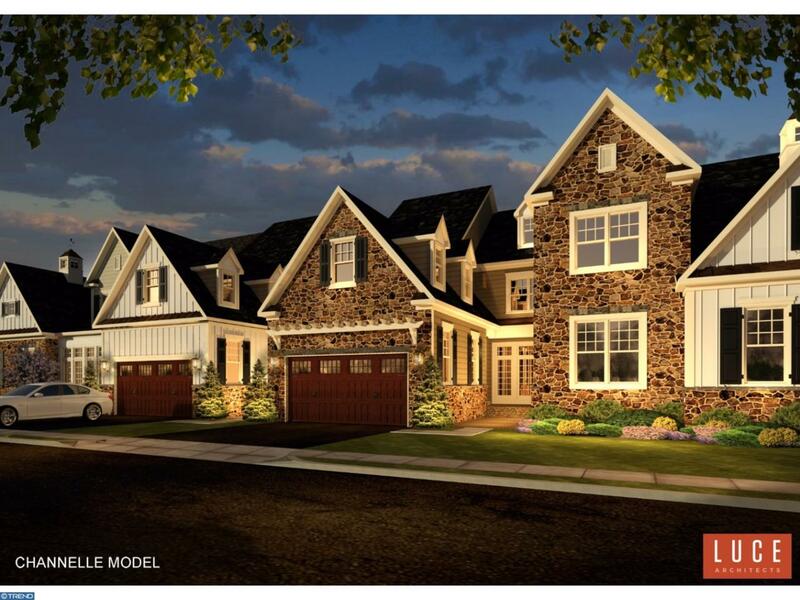 The Carriages at Lower Gwynedd features eleven luxury carriage homes, built with quality construction and a unique design that set them apart from other homes in the area. Conveniently close to Whole Foods, CVS, Starbucks, major highways and train stations. Consisting of High quality finishes & a desirable development that offer a calming relief to come home to and entertain family and friends. This end unit offers a wide array of opulent amenities and options, including an elevator spanning three levels, more than 3400 square feet of living space, a two- car garage, a gas fireplace, and superior craftsmanship throughout the home. You'll also enjoy the benefits of deluxe mill work and solid doors, a walk out basement streaming with natural daylight and the possibility of incorporating a sauna, wine cellar, gymnasium, media or games room. Options also include the opportunity for you to add an indoor swimming pool! On the second level you will find a generous Owners Suite with private bathroom including a sumptuous shower, soaking tub, and walk-in closet with custom solid shelf storage system. Additional bedrooms on the second level offer exceptional accommodations, each with its own bathroom, walk-in closet and deep pile carpeting. The gourmet kitchen is the epitome of your expectations for a home of this quality?.Amazing. Comprising of upgraded cabinetry, granite or quartz counter tops, a butler's pantry with wine refrigerator, top-of-the line appliances, and a large breakfast area with a beautiful view of the natural landscape and spacious deck. The beautifully designed floor plan of this model is customizable to create a unique home just for you. This well- planned community includes security cameras, covered parking for guests, and a walking trail leading to the Spring House Village shopping center. Relax, unwind, and enjoy the lifestyle that you deserve. Photos are from our model Channelle showing options for finishing. Model is open. Please call to make your appointment to experience our home.